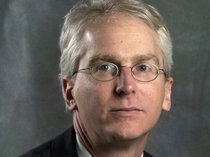 Stephen Wright is the administrator of the Bonneville Power Administration, a U.S. Department of Energy agency created by Congress to build transmission and market electric power from Bonneville, Grand Coulee and the other federally owned hydroelectric projects in the Pacific Northwest. Wright began his career in the agency's conservation office as an entry-level GS-9 and rose up the ranks to become acting administrator and then the permanent administrator in January 2002. He has served in that role during three presidential administrations. Wright spoke with Tom Fox, who writes the Washington Post's Federal Coach blog and is the director of the Partnership for Public Service's Center for Government Leadership. What motivated you to follow a career in public service? I thought I wanted to be a sports writer and then a psychologist. At school, I got involved in local political issues and ended up working on a political campaign. I found I really wanted to make a positive difference in people's lives, so I went to graduate school in public administration. When I graduated, I got really lucky. Congress had just passed a bill that gave new authority to Bonneville Power Administration, and they were hiring people as fast as they could. What makes me so lucky is that at Bonneville we are stewards of incredibly valuable assets to be operated based on sound business principles, yet on behalf of the public and with a public service mission. That combination of public-sector goals with a profit-and-loss statement is incredibly intellectually stimulating. I found a place where I love the work I do. What leadership lessons have you learned during more than a decade at the helm of your agency? If you're in a job as an "acting" [administrator], don't act like it. Anytime you have decision-making authority and you are hesitant, you will lead your agency astray. Always plan, lead and learn with a long-term perspective. Ask yourself, "What is the long-term legacy I want to leave from my time at this job?" Focus on the decisions that you can control, with a laser focus on serving the public interest. I ask myself, "Could I explain this to my friends, my neighbors and relatives and have them believe I am trying to do the best thing for them?" When you can stand up publicly and express why you made the decision, how it focused on serving the public interest, not only does it work externally, but it resonates with your employees. What are some key lessons that young federal employees need to learn to become effective leaders? Embrace public involvement. Due to the public's increased education levels and access to information, we have to be more willing to engage the public -- recognizing they may have information not available to us that might change our decision. Secondly, bipartisanship is not dead. Executive branch employees in particular have the opportunity to promote bipartisanship by developing thoughtful solutions to problems that bridge partisan divides. Third, if you're using delegated authority, think from the broad perspective of the delegator as to the implications for the whole organization, not your silo. Finally, politics is not a dirty word. We treat it that way in our culture. Instead, we need to talk with politicians because they have their finger on the pulse of how the public interest may be shifting. We can learn from elected officials in order to be great public servants. What do you wish you had known before you took your job? I think the one thing I did not understand was the role of the leader as a definer of culture. The leader establishes the values for the organization. There is nothing that will help to sharpen your set of values more than being a leader, because you are really accountable for the decisions. Second, your employees need to hear why their work is meaningful and important, because it is a great motivator. For many people doing meaningful work is as or even more important than money. It is your responsibility to explain to your staff why decisions are being made and how they relate to the organization's higher calling to serve the public interest. Who are your leadership role models and what lessons have you taken away from their examples? Franklin Roosevelt in 1932 gave a speech in Portland that described what the agency was about. I've kept that speech on my desk since I started this job. He took the public interests of his day and he translated them into how the government can help make people's lives better. Peter Johnston was the first administrator that I worked for at Bonneville. One key lesson I took from him is that a sound analysis will lead to a sound decision that will withstand public scrutiny even if controversial. My final role model would be former Senator Mark Hatfield of Oregon. He was very effective at defining the culture for his staff. He also taught me the power of the convener. When you're in a position of authority, you have the ability to call meetings and people will come. You take the role of captain of the ship and must be able to look across the horizon and say, "I can see some really big issues out there. I've got this information available to me, but now it's my job to get people focused on addressing these issues."